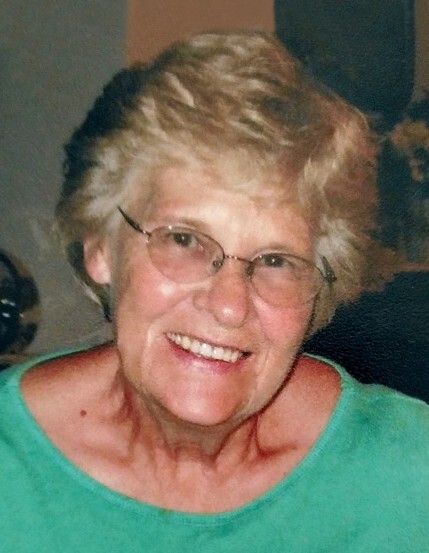 Norma J. Salquist, 79 of Fargo, passed away on Tuesday, March 26, 2019 at Bethany on University in Fargo. Norma Salquist was born Norma Jean Berg on February 11,1940 near Mooreton ND, to Bennie and Katie Rose (Nelson) Berg. The youngest of 8 children, Norma grew up in Galchutt, ND and there she attended elementary, junior high and graduated from Antelope High School. After graduating high school, Norma began working at Northwestern Bell Telephone in Fargo. The following year she married Gordon Slieter and together they had four children. Widowed in 1982, Norma married Vincent Salquist in 1985. Norma had a diverse work history which included; administrative assistant at the Wahpeton Chamber of Commerce, a sales clerk at Scheels Hardware and also worked as a waitress for various restaurants. Norma had an entrepreneurial spirit as well, having started several businesses of her own including an upholstery shop, alterations services and ultimately her own coffee business, Norma's Quality Coffee. In addition to her businesses, Norma enjoyed sewing, quilting, painting, and pottery. She was an accomplished artist and seamstress. Her family has many handmade keepsakes that they will cherish for generations to come. Norma could tackle any project brought to her, whether it was sewing, painting, refinishing or reupholstering furniture. Norma loved to socialize and participated in many activities including the Red Hat's organization and volunteering for the Ladies Auxiliary and Red Cross. Norma enjoyed (and excelled at) games of any kind: dice, cards, Bingo, cribbage and board games. She usually walked away as the winner and earned the family title of “card shark”. Norma is survived by her 3 children and their spouses, Lori (Brad) Vangerud, Scott (Dawn) Slieter, Barbra (Bart) Hoffman; Dean Staska (Son -in-law); 6 grandchildren, Ryan (Heather) Vangerud & Ashley Vangerud, Matthew Staska (Jenn) & Joshua Staska, Zachary Hoffman & Kaitlyn Hoffman and 8 great grandchildren. Norma loved being a mother, grandmother and great-grandmother. She enjoyed every minute that she spent with her family. Her family enjoyed her humor and willingness to always try what was hip and cool with the kids i.e. roller skating, texting, gaming, and shopping. She thoroughly enjoyed traveling to her children’s homes in North Carolina and California. She also enjoyed joining her children on trips to Hawaii, Europe, the Caribbean, and the Minnesota lakes. Norma was extremely organized, self-reliant and always up for any social activity. All of her family and friends will miss her smiling face and companionship. She was preceded in death by her parents; three brothers, Clayton Berg, Arvin Berg, Raymond Berg; four sisters, LuVern Jones, Delores Hendrickson, Vernice DeVries and Isabelle Staples; husbands, Gordon & Vincent and daughter, Julie Staska. Visitation: Thursday, April 4, 2019 from 5-7 pm at West Funeral Home, West Fargo, ND and also one hour prior to the service at the church on Friday. Prayer Service: Thursday at 7 pm at the funeral home. Memorial Service: Friday, April 5 at 11 am at Hope Lutheran Church – North Campus, Fargo, ND. Final Resting Place: Our Saviors Lutheran Cemetery, Colfax, ND.